This creamy beige stone basin that is carved from solid European travertine. With its contemporary low level styling this rectangular stone sink makes great design feature to luxury bathroom design. Please note this stone basin is made to special order please allow 6 weeks. 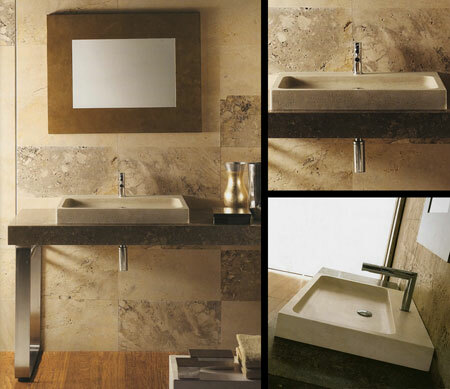 * Basin made in travertine marble.